The Division of Environmental Assistance and Customer Service (DEACS) has developed a suite of recycling outreach materials. 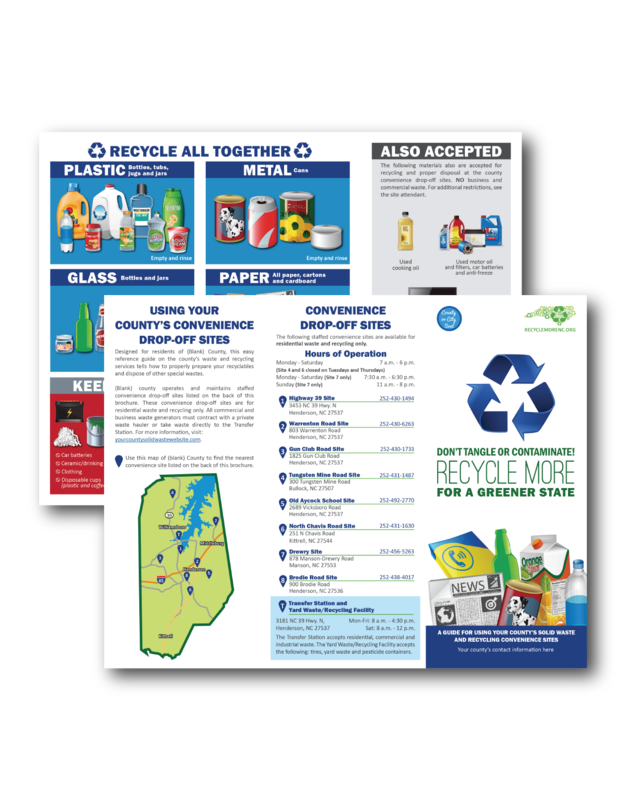 DEACS staff can assist in tailoring outreach materials to fit your community’s recycling program or adding local contact information. 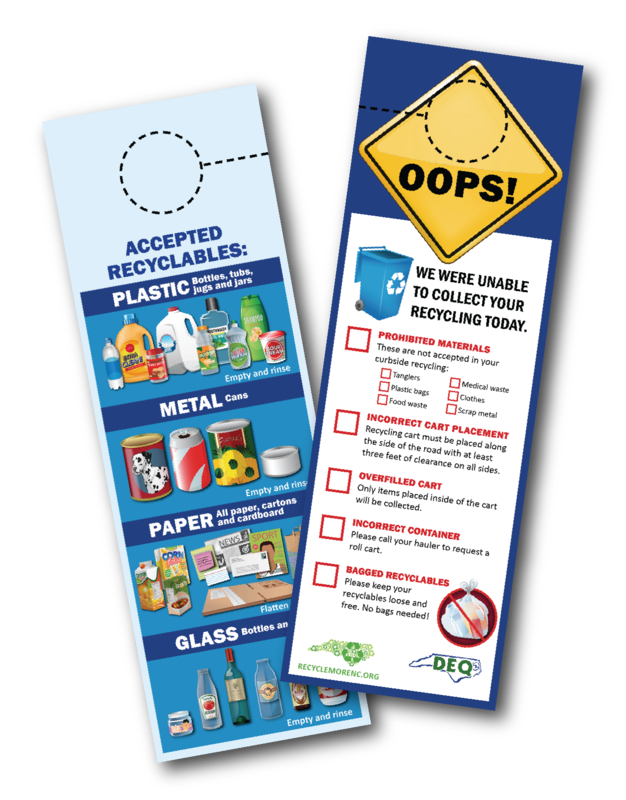 Complete a Customized Outreach Material Order Form to request tailored materials. 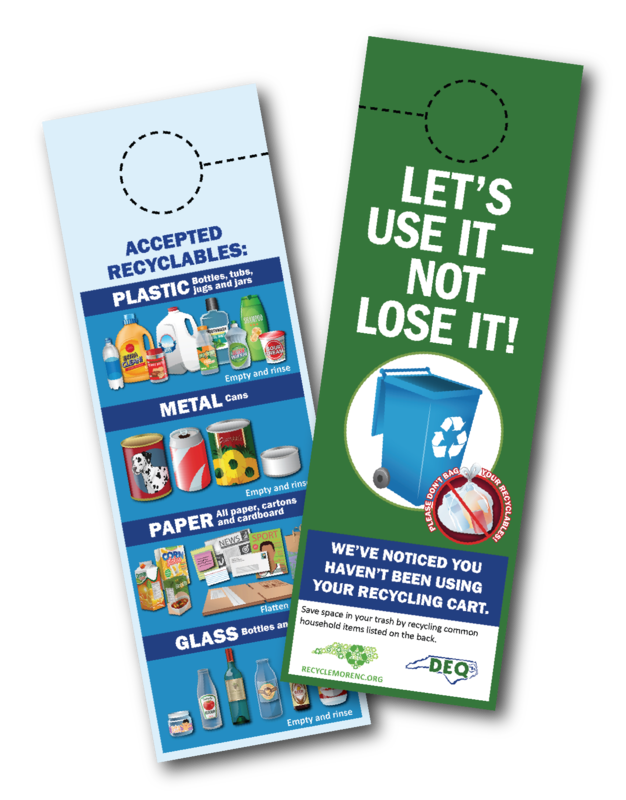 Click on the images below to download. 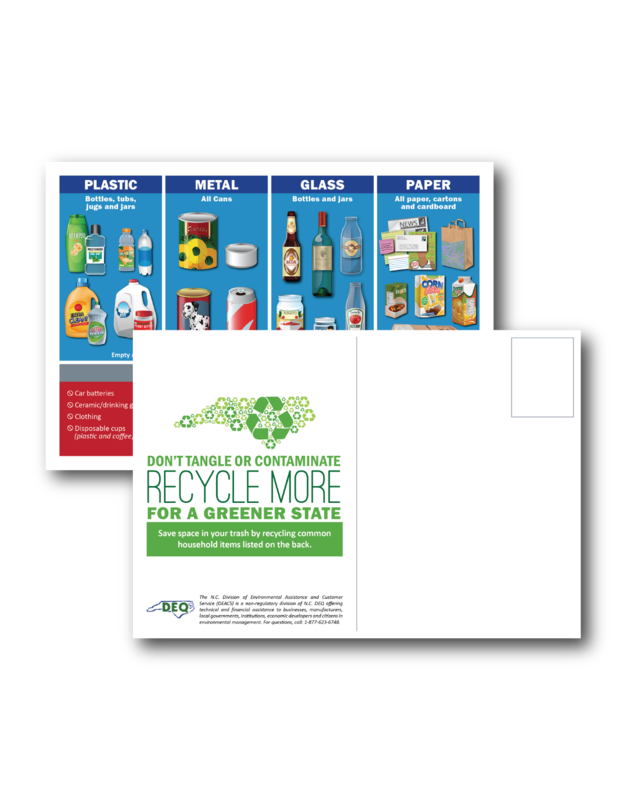 Additional free education materials and posters are available at Recycle More NC.